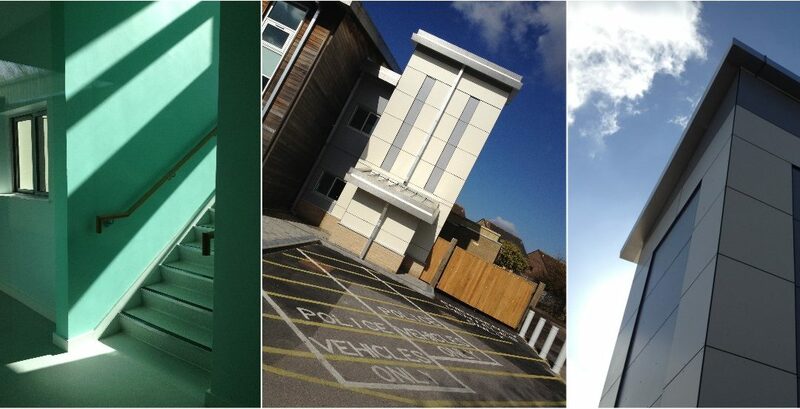 Works at Elmleigh NHS Centre, Havant are now complete. The project included the refurbishment of an ECT (Electro Convulsive Therapy) Suite with the addition of a new emergency hydraulic lift housed in a new lift shaft as shown here (photo). Works also included the upgrade of an existing Section 136 Suite and Seclusion and Sensory Rooms.